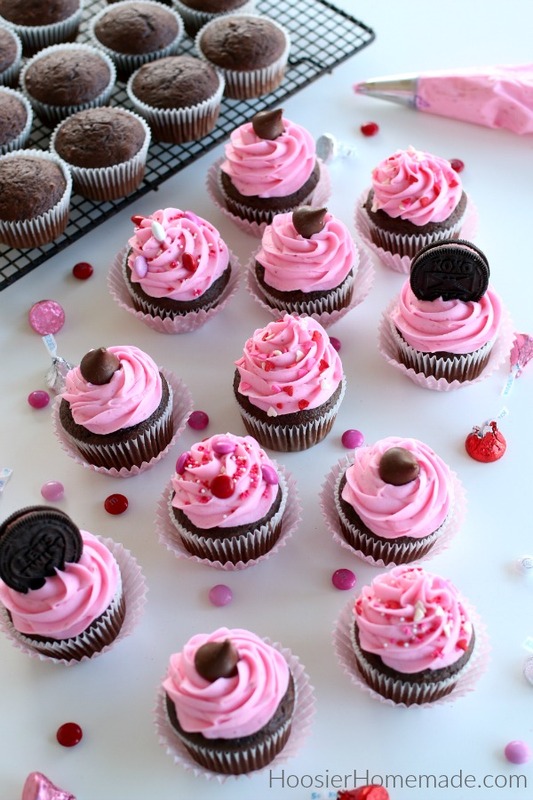 Valentine’s Day and cupcakes some how just go together, don’t you agree? 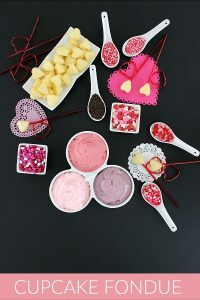 Whether you bake Pink Velvet Cupcakes, Red Velvet Cupcakes, Cupcakes with a Heart in the center, or even a fun Cupcake Fondue with heart shaped mini cupcakes, you really can’t go wrong. 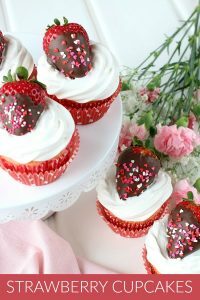 The Valentine’s Day Cupcake ideas are endless, but when I think of flavor combinations – chocolate and strawberry come to mind. 1/3 cup oil – or the same amount of oil on the box. Vegetable or Canola Oil are best to use. 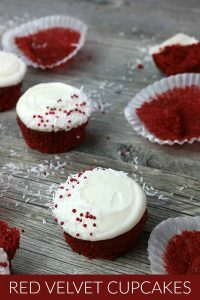 Baker’s Tip #2 – this same recipe works for any flavor of cake mix – I have used this recipe in flavored cupcakes like these Pina Colada Cupcakes, Reese’s Peanut Butter Cup Cupcakes, and most of the Cupcakes I bake. The Strawberry Frosting begins with Buttercream Frosting – butter, powdered sugar and milk, and then Homemade Strawberry Glaze is added to bring in the strawberry flavor and freshness. Baker’s Tip #4 – you will have some leftover Strawberry Glaze. It’s perfect on toast! Or add it to other dessert like Cheesecake. 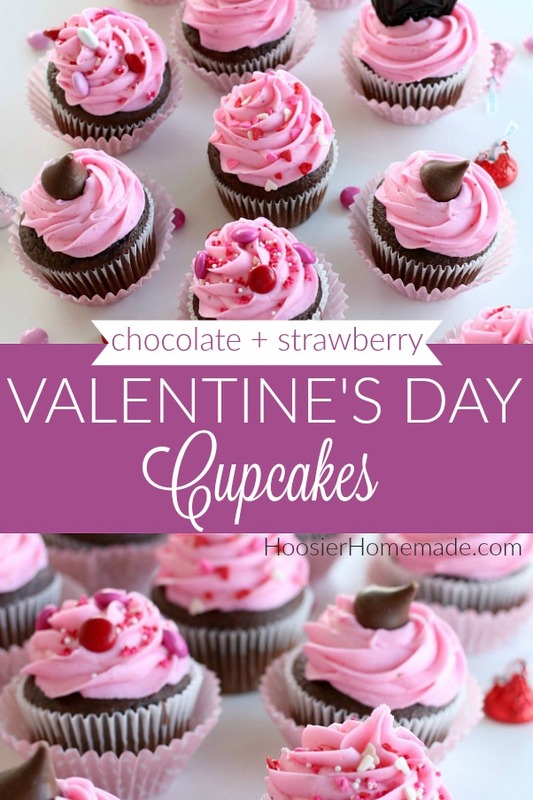 Looking for more Valentine’s Day Cupcake Ideas? Click on the photo for the recipe! The taste best served at room temperature. ImI’m doing these right now as we seek and I don’t understand how u got the middle gull of fluff…and when u pit the fluff in the cake..I’d already baked the cupcakes and was going to put the fluff in them when they cooled bur is there another way?? Hi Tara, here is a link to one of the Cupcake Boot Camp posts >> https://hoosierhomemade.com/cupcake-boot-camp-how-to-frost-cupcakes/ – there is a video there teaching you how to pipe frosting. 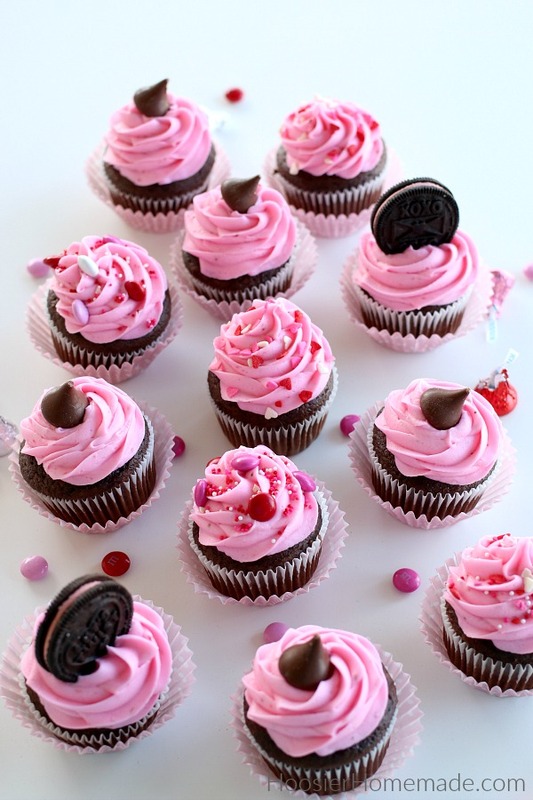 There are also several others in the series showing you all about cupcakes. How long can these cupcakes sit out before serving. I’ve always wanted to try this frosting but unsure about leaving them out. 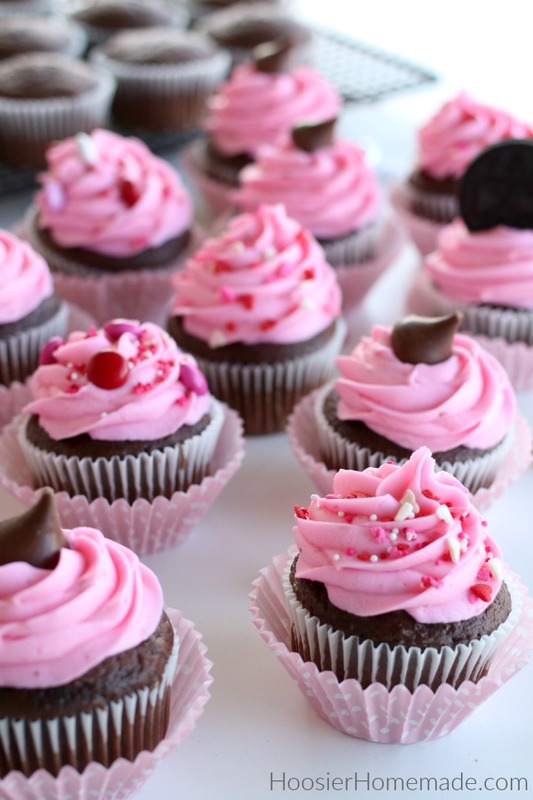 Hi Carla, the cupcakes can be left out a few hours and they will be fine. I would treat them like any other dairy product that you leave out during a party, like salads with mayo. 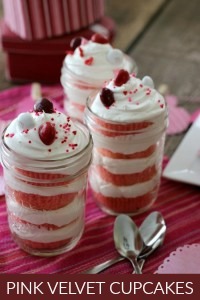 I am subscribed to Hoosier Homemade and Cupcake Chronicles. What cute brownie hearts. They look delicious. ans so easy with Betty Crocker. oh I loved filled cupcakes. SO cute and yummy! I would love for you to link up to my Valentine Party @ http://www.cheapcraftymama.com!